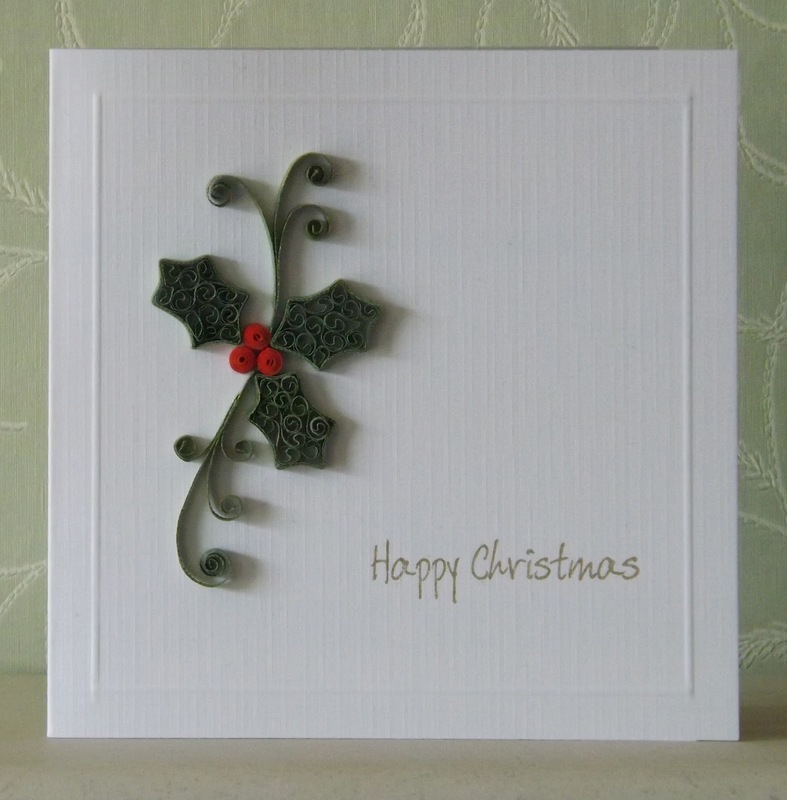 The Pinkshop Blog: My first quilled Christmas card. Here is my first Christmas card this year. More practising with quilling shapes. The holly is more beehive quilling and made in the same way as I made the petals in this card. When I was making this card I thought the petals could be shaped in to holly so had to have a go. Well that's all for his short little post. I hope you like the card. Thank you for visiting my little blog and I'll see you again soon. That's beautiful, Sue. So elegant! Love it. Both are beautiful I always have trouble pinching holly leaves.